After the young designers Lu Wenqing and Wu Xiaoqing’s from SIVA of Fudan University won the Creative M50 2009 prize by DAtrans with the architectural work 'Compressed Apartment'. 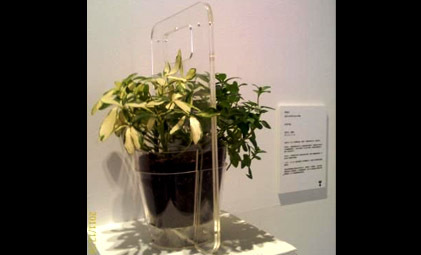 This year, another young designer Chen Yiyun from College of Design & Innovation of Tongji University won the Creative M50 2011 prize by DAtrans with her product work ' Half Flowerpot '. In this work, the designer focuses on humanity and aesthetics of transparency.